Organizers of the Canadian Cyclocross Championships - which will take place in Winnipeg for the next two years - are happy to announce the signing of Shimano as title sponsor of the event. 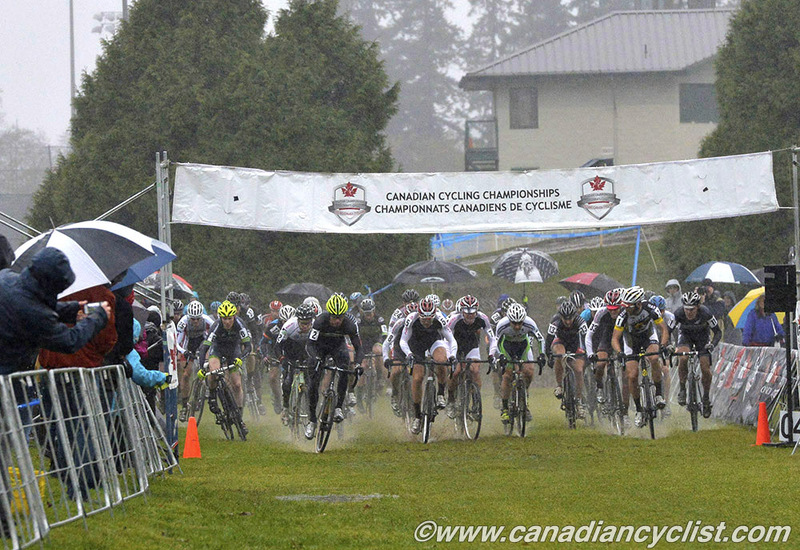 The three-day cyclocross festival will now be known as the Shimano Canadian Cyclocross Championships. This year's event will happen at The Forks in downtown Winnipeg on October 24-26. The sponsorship is for both 2014 and 2015. Shimano will be providing neutral support throughout the weekend and will have a prominent presence on the course that will see significant opportunities for interaction with both racers and spectators. David Blondel, Marketing Coordinator for Shimano Canada, says, "We are very excited to be partnered with the Canadian Cyclocross Championships over the next two years." He added, "It's inspiring to see a collective of committed people working to make huge things happen." Having seen the sport of cyclocross experience significant growth over the past several years, local race organizers in Winnipeg felt the time was right to work together to put on a much larger event. "We believe Canada is ready for a big time cyclocross race weekend, and we want to put Winnipeg on the map as a new hotbed for cyclocross in North America," says Chris Huebner, Co-Chair of the local organizing committee. "To be partnering with a well-established company like Shimano as title sponsor for the event is an ideal fit and we are absolutely thrilled to have them on board." Blondel credits the vision of the local organizing committee as the key reason behind Shimano's decision to partner with the event. "Seeing the overall plan and direction organizers have laid out over the next two years made it an easy decision for Shimano to be involved," he explains. "Given the many strong regional cyclocross scenes from coast to coast, we hope that the Canadian Cyclocross Championships in Winnipeg will truly serve as a country-wide celebration, bringing together different riders and communities, helping to move cyclocross forward on a national level. I look forward to seeing everyone at The Forks in Winnipeg at the end of October." Hopefully Winnipeg will be somewhat drier! 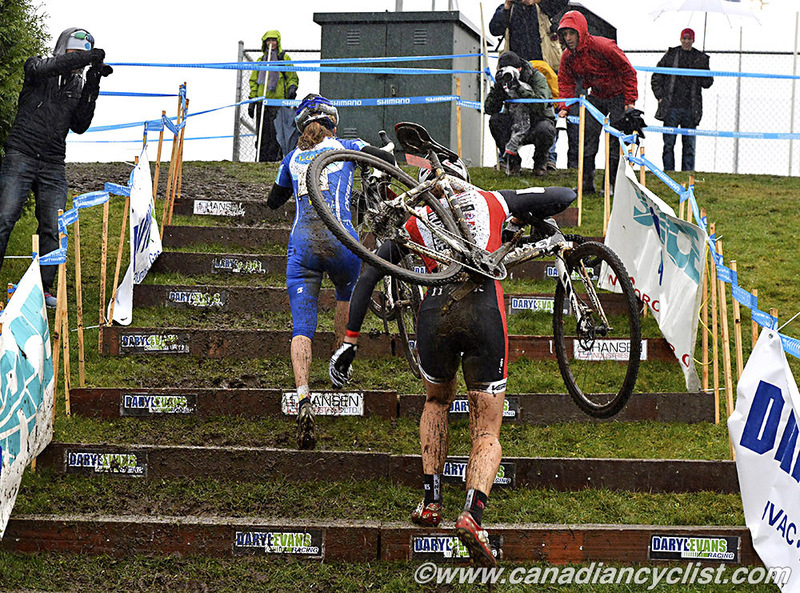 Cycling Canada is equally enthusiastic about the emergence of cyclocross in Canada and the partnership with Shimano. "Cycling Canada is pleased to have Shimano come on board in support of our Canadian Cyclocross Championships," says Cycling Canada High Performance Director, Jacques Landry. "Cyclocross is growing in popularity in Canada and to have a company such as Shimano, who has been part of cyclocross ?at the international level for a vast number of years, is definitely going to help this discipline grow exponentially in Canada." The event will feature three full days of racing, with opportunities for riders of all abilities to participate on each day. It will also include numerous clinics and social events. The local organizing committee, already known for putting on popular events like DarkCross, is approaching the event as a big cycling-themed party, where the intensity of the competition is matched by the fun of a community coming together for a good time. With up to 20,000 people expected on site at The Forks throughout the weekend, all the conditions are in place for it to be a cyclocross race experience that is on par with some of the most well-known races around the world. Building on Winnipeg's reputation for stepping up to host quality amateur sporting events, organizers look forward to welcoming racers and spectators from across the country, including some of the country's top cyclists. Defending Elite Mens and Womens Champions Geoff Kabush and Catharine Pendrel will be in Winnipeg to try and retain the titles they won in 2013. "I haven't raced in Manitoba since a 1995 Canada Cup race," says Kabush. "But I am excited to return to the province for the Canadian Cyclocross Championships. The organizers and the City of Winnipeg sound excited and it looks like a great downtown venue that will showcase the sport. I'm looking forward to the great atmosphere that cyclocross season brings and I hope everybody will be ready for some great racing." This excitement is echoed by Pendrel. "I am looking forward to defending my title this fall in Winnipeg," she says. "There is so much good energy humming about this event. I know it will be great." Other major sponsors include local craft brewery Half Pints, which is brewing a brand new beer for the event - Dead Ringer Belgian IPA. The CancerCare Manitoba Foundation is the event's Official Charity Partner and will be hosting the Kick Cancer Cyclocross Derby, a day of fun races and fundraising that will kick-off the weekend on Friday. For a complete list of sponsors and partners, or for more information on the event, please visit the website: winnipegcx2014.ca.